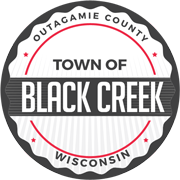 The Town Board of the Town of Black Creek, Outagamie, Wisconsin, hereby provides its written notice and an agenda of the public meeting for the Town Board for Monday, July 18, 2016 at 7:00 p.m. with the public meeting of the Town Board to be located at the River Rail Bar, N5549 State Highway 76, Shiocton, WI. The Town Chairperson or designee has provided communication of this public meeting by a Posted Meeting Notice. 3. Verification of Public Notice by the Town Board. 4. Specific matters for discussion and possible action by Town Board in open session. 5. No discussions or possible action on any other specific Town Board Business will be conducted. Dated this 8th day of July 2016, Meeting Notice Posted.